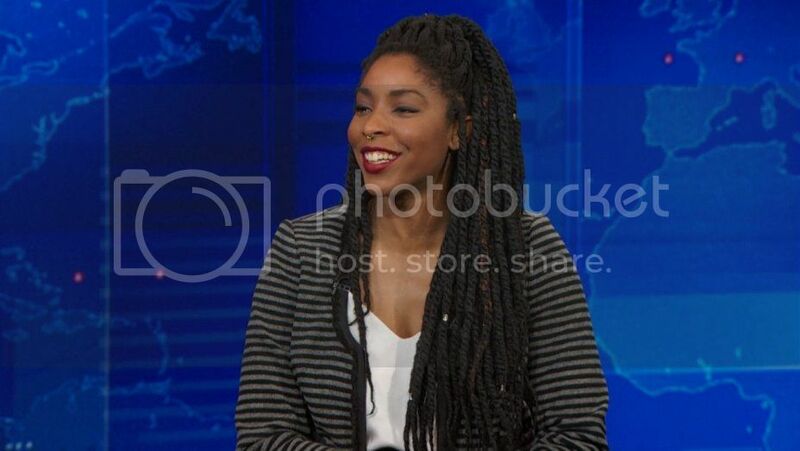 With tears in her eyes, Jessica Williams bid farewell to her television home on Thursday. The actress and comedian joined The Daily Show with John Stewart as a correspondent at just 22-years-old in 2012. Williams brought impeccable timing and wit to the comedy late-night show, now led by Trevor Noah. "We tried to put together all of your greatest moments, but the truth is no one show can do them justice," said Noah. The show has served as a launching pad for Williams' talent. She's gone on to star in films and launch a podcast, 2 Dope Queens, with comedian Phoebe Robinson. But before she left, she made sure to skewer the Bernie Sanders voters who say they will vote for Donald Trump in the the general election. In typical Daily Show fashion the bit was depressing and hilarious. Williams is leaving The Daily Show to star in her own half-hour show on Comedy Central. She told Entertainment Weekly that her show will be an exploration of who she is. Take a look at some of Ms. Williams' most memorable moments on The Daily Show.